In recent times, there has been much talk about SEO and video marketing. As much as this is this trend, if you don’t know the techniques to employ to pull this off, it won’t be much good to you. When ranking videos at the top of users’ feed, YouTube takes several factors into account. They include comments, views, and likes. While an ideal marketing campaign and call-to-action can have an effect on comments, views, and shares; more can be done to impact the length of time people spend watching your videos. The simple answer is to control the length of your videos. 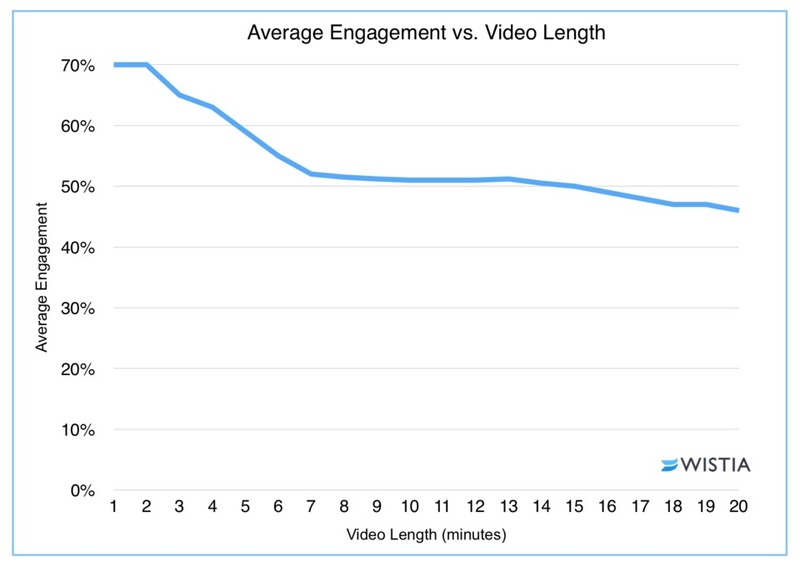 Results of the research on video length vs. engagement conducted by Wistia. Source That, together with awesome content that will keep users glued to your video from start to finish, and will help you rank your videos higher. Nevertheless, make sure that you don’t extend the video beyond what is required, or else your viewers will get bored. All types of archive pages for categories, tags, and others can be created by WordPress. If done correctly, they can be turned into highly authoritative pages. The first step to take is to add unique content. Without doing that, they run the risk of looking similar to the main loop, which might be interpreted by Google as duplicate content. To do this, simply go to Posts>Categories and select one of the entries. After that, you get the option of editing the name, slug, and description of your category. Since backlinks aren’t used by YouTube’s algorithm, it greatly affects user experience signals. If people like watching your video, chances are that it will crush it in YouTube search. Liking and subscribing are crucial user experience signals that YouTube utilizes. When a person likes your video enough to subscribe after viewing it, it sends a strong signal to YouTube that you have a great video. Even though likes are not that important, they still count. These user experience signals can be ramped up easily. At the end of the video, give viewers a strong call to action that encourages them to subscribe. Online communities such as LinkedIn and Quora are great avenues to funnel traffic from. One thing to note is that most communities don’t like the idea of someone dropping links to their content everywhere. However, they are open to people sharing useful YouTube videos (like yours). An example of Quora answer with an embedded video tutorial from Youtube Since the number and quality of your views are one of the most essential YouTube ranking factors, getting views from specific communities is quite helpful. Look for a question in the community that your video could answer. Offer some value and recommend people to watch your video for more information. Content is king. Most of us keep creating content regularly for that very reason. However, it can get exhaustive even if it works. A suitable approach is to utilize the same content and restructure it in different forms. After having conducted the research, ensure that you use the information in the most effective way. For instance, you can repackage blog posts as PDFs, video tutorials, and Podcasts. There are advantages to repurposing content: you can utilize the repurposed content to get links from websites like YouTube and Quora. For maximum effect, ensure that the newly created content is of high quality as the original. Make sure to check out this blog post: 20 Clever Ways To Repurpose Your Content, or download free content repurposing checklist below. Specific tags – they draw off existing knowledge and delve deeper into what the video is about, for instance, brand names. Compound tags – utilize more than one word. Generic tags – define your video at the most basic level. Generic terms include categories like entertainment. Refining tags – sometimes, you might want to define your video further. These tags don’t stand alone but make sense in a broader context. You can add or remove tags in your video manager when uploading your video. Once you begin to tag, you’ll be provided with suggestions on similar tags by YouTube. If you come across one that’s appropriate, select it since it implies that YouTube is familiar with the tag, so your video will be linked to similar ones. Ensure you don’t tag your video with inappropriate key terms to achieve better ranking in searches. You only have 500 characters worth of tags, so use them wisely. Even though most people think that SEO is something technical, it’s mostly about finding out what users require and then delivering it. As long as you meet your audience’s requirements with your content, the chances of them clicking your headlines, reading your articles or buying your product increase. 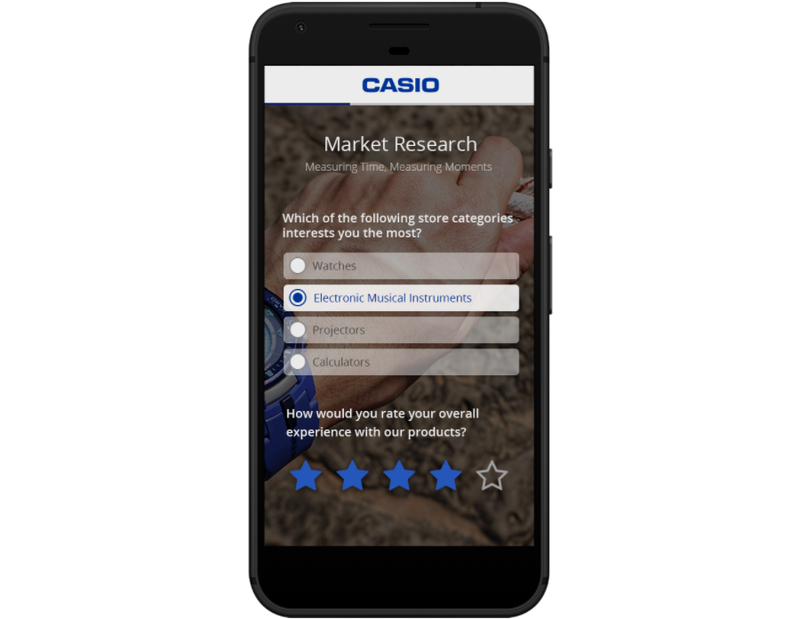 Market research conducted by Casio. Source To achieve this, you need to have an idea of what they’re looking for. One way of finding out would be if they informed you directly. This won’t be achieved by them emailing their problems to you (even though some do that). There are numerous online spaces where people mention what kind of assistance they require, for instance, Quora. Quora is a bit like Yahoo answers. People ask questions on various subjects and then receive answers from smart people. To know more about your audience, visit the website and key in your primary keyword. You will be provided with many questions that people are asking on that particular topic accompanied by answers. When one goes to the search results and clicks on one of your links, they might land on your blog post or even home page. However, since your objective is lead generation, it’s better to utilize a landing page. Wave.video landing page. A landing page is a dedicated page for a particular topic with a specific objective (around 48% of marketers create a new landing page for every marketing campaign). It’s highly important to create an effective landing page – it can drive lots of traffic to your website. Creating links back to your content is a great way of ranking higher since it demonstrates that users trust your content. The key thing is not to appear spammy as you might be penalized by search engines. Another important thing to note is you shouldn’t pay for links. Build links naturally. For instance, you can come up with an outreach campaign where you create awareness of your video via social media or email. 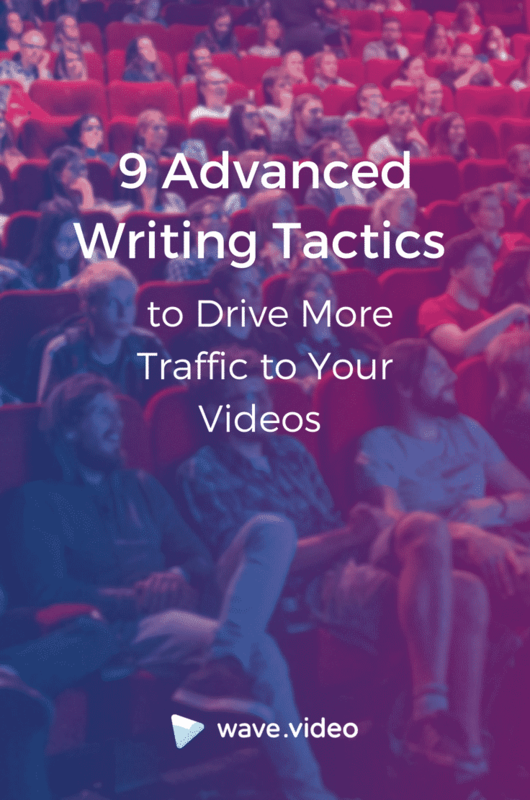 As you ascend the rankings, more people will come across your video and continue to link back to you. The above are just but some of the advanced SEO approaches that can be used to drive traffic to your videos. Are there any others that have been left out? About the author: Alice Jones is a tutor & high skilled web content writer. Love sharing tips and topics about education, management, and marketing. Quite many paper writers on LinkedIn confirmed her professional skills. She studied Arts in English at the University of New Orleans. She likes to read different book genres, to attend refresher training and various personal development courses. Connect with her on Facebook and follow her on Twitter.